Toronto, December 7, 2017 - Each year, bird lovers celebrate the joys of winter by joining a Christmas Bird Count. It’s a great way to explore nature while helping to increase the awareness and knowledge of our feathered friends. Whether you are in Thunder Bay, Windsor, Ottawa or anywhere in between there is a Christmas Bird Count close to you. Everyone is welcome, no matter what skill level and they are free of charge, so why not make it a part of your holiday tradition? This year Christmas Bird Counts will occur in Ontario from December 14, 2017 to January 5, 2018. 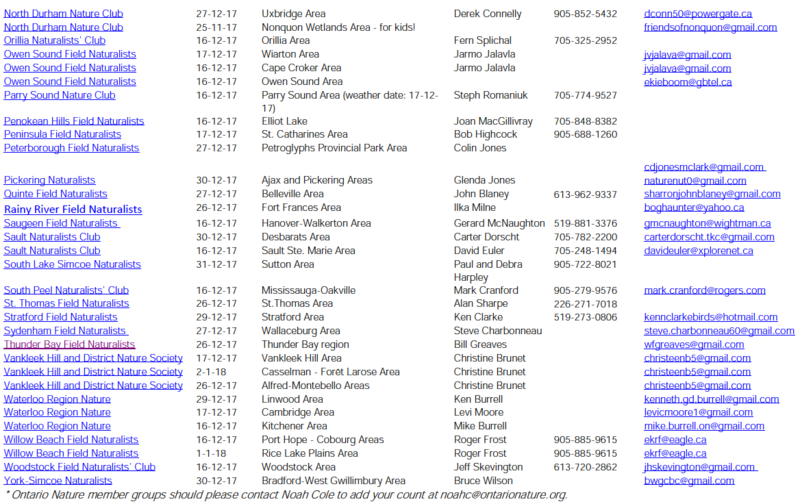 Ontario Nature member groups are organizing at least 68 counts in the province this season. Visit the Ontario Nature website (ontarionature.org/cbc) to find the date and location of a count near you. To see a comprehensive list of Canadian counts visit the Bird Studies Canada website (obsc-eoc.org/volunteer/cbc) or see bottom of page. The Christmas Bird Count began in 1900, and included a count in Toronto. Today it is North America’s longest-running wildlife census. 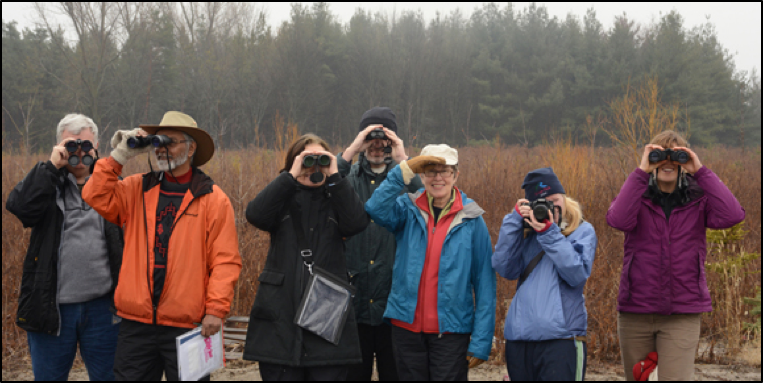 Always fun, even when it’s chilly, each volunteer braving the elements contributes to the study and conservation of birds. Scientists use the data collected to monitor the health and status of resident and migratory birds. This information guides conservation strategies for species in decline. The Christmas Bird Count also teaches citizen scientists about the myriad bird species that live in and migrate through their communities. Last year, 14,000 Canadians participated in nearly 500 Christmas Bird Counts across the country. A whopping three million individual birds were recorded. In Ontario, Ontario Nature member groups organized nearly 70 counts throughout the province. “The Christmas Bird Count is a great way for bird lovers of all ages to help Ontario’s birds. Novices work alongside experts to collect important data that help guide work on behalf of all birds across the province. And who knows… maybe you’ll see a rare bird that no one has recorded before,” says Emma Horrigan, Ontario Nature’s Conservation Science Coordinator. What avian rarities and trends will we uncover this year? 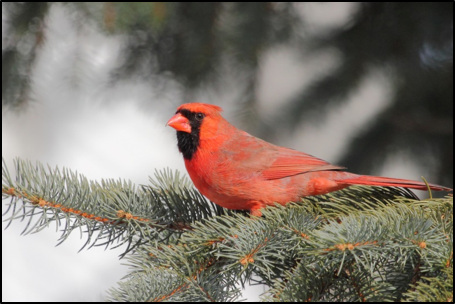 Join a Christmas Bird Count to meet other local naturalist and bird enthusiasts. If you’re still not convinced that participating in a count is for you, many are followed by a social gathering and pot-luck meal. Lisa Richardson, Nature Network and Communications Coordinator, Ontario Nature: 416-444-8419 ext. 222; lisar@ontarionature.org. Ontario Nature protects wild species and wild spaces through conservation, education and public engagement. It connects thousands of individuals and communities with nature through close to 150 conservation groups, and 30,000 members and supporters across the province. For more information, visit ontarionature.org. 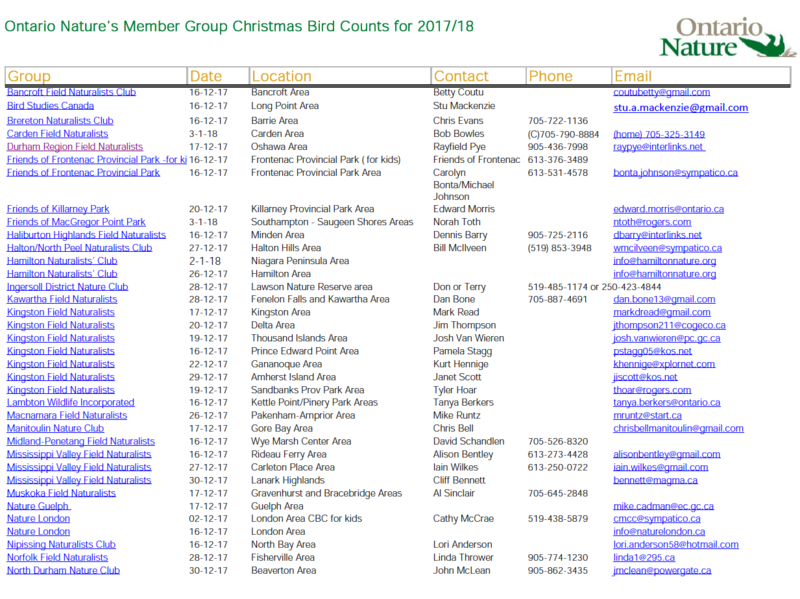 The list below shows all Ontario bird counts as of December 11 and can also be found at https://www.ontarionature.org/act/PDFs/Christmas_Bird_Count_list_web_2017_2018.pdf.. These photos may be used with photo credit.